Some days ago, I got an email from a colleague asking whether I could suggest a book or course on time management that he could share with his students. On the spot, I did not know exactly what to reply other than sharing some techniques which have been useful for me. But then I remembered a story I read once and I suddenly realised that that story probably holds the secret for accomplishing what is really important to us. And in so doing, it also reminds us of the things that really matter in life. One day a wise teacher was speaking to a group of his students. He pulled out a one-gallon, wide-mouthed mason jar and set it on a table in front of him. Then he produced about a dozen fist-sized rocks and carefully placed them, one at a time, into the jar. His class was catching on quickly. “Probably not,” one of them answered. As the year draws to a close, I hope you may find some time to reflect on your ‘big rocks’ for the new year ahead. Is this something you want to accomplish, maybe finish off your PhD thesis, or submit that long-due paper? Is it re-gaining your physical fitness? Is it learning a new skill that would be useful for your next career move? Or is it starting a journey of personal growth? Or simply spending more quality time with your loved ones? Whatever your priorities are, my wish for you is that you may treasure this story and find a way to put your big rocks first, before any pebbles or sand. This entry was posted in Miscellany, Work-Life Balance & Productivity and tagged productivity, Time management, work-life balance on December 23, 2014 by Marialuisa Aliotta. Very often people think that being a researcher is all about excitement, discoveries, and success. And while some of this may eventually be achieved, the day-to-day reality of it is rather different. 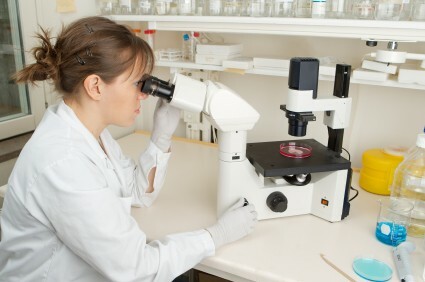 We often struggle to keep up with running a lab, taking new data, analyzing them, writing papers, applying for grants. And all of this while also trying to have a full and fulfilled life! No wonder, we often feel exhausted, overwhelmed and just simply run down. I have been there myself. And I have personally discovered what a huge difference it can make to just follow the advice and support of those who have been there and have found a way to succeed. In fact, soon after becoming a mom, some years ago, I realized I needed to set new priorities both at work and in my private life. That’s when I started working with Olga Degtyareva, a friend and former colleague of mine. Olga has become an expert on productivity and she has already helped many students and researchers all over the world to make huge progress in their careers without feeling hopeless, overwhelmed, or stressed out. Olga emailed me the other day to let me know that she is going to release one more video today! BONUS video #4… it’s all about you moving forward on your path. And she’ll be telling you about two biggest problems that most researchers come across. Also, towards the end of the video, she’ll give you the details about the Productivity Code Quick Start Online Course and Coaching Program. So, if you are struggling with making progress with your work, don’t miss out! Registrations are opening up TODAY (11th of September) at 12:00pm London time. PS Oh, and remember that the free training will remain available only until September 18th! This entry was posted in Advice for PhD Students, Events, Work-Life Balance & Productivity and tagged accomplishments, advice, Olga Degtyareva, PhD, PhD thesis writing, productivity, Research, Time management on September 11, 2014 by Marialuisa Aliotta. Are You Struggling With Your Writing? ‘What do I put in my conclusions? These are just some of the questions that I get asked all the time. Interested? Then, make sure you register now as spaces are limited and they are filling up quickly. After the webinar, I’m also going to open up registrations to my online course ‘Hands on Writing: How to Master Academic Writing (in the Sciences)’ where I teach the very same strategy that I now use for my own writing and when supervising my PhD students. And… I’ll be telling you about some juicy bonuses on how to avoid procrastination, stay on track, enjoy a great work-life balance so you can feel confident and in charge again. 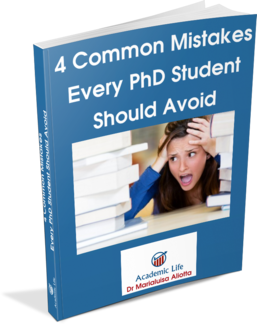 This entry was posted in Academic Writing, Advice for PhD Students, Events and tagged Academic Writing, English language, PhD, Postgraduate education, productivity, Research, scientific writing, Thesis, Writers Resources on April 1, 2014 by Marialuisa Aliotta. 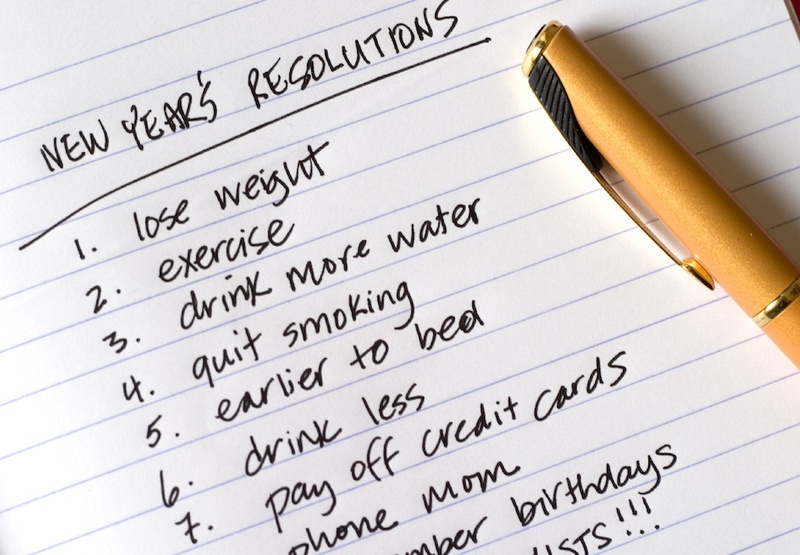 Is Writing Up One of Your New Year’s Resolutions? Now that a new year has begun, new resolutions abound. Maybe yours is to finally complete your thesis or your paper draft. This can be a daunting prospect and one that you may have put off at every possible opportunity so far. Now you realise that your time is running up and you feel anxious and worried. How are you going to boost your productivity and finally make good progress on your writing project? What can you do to make sure you get the best possible draft so that everything else becomes easier and smoother? Are there simple strategies you can adopt to improve your style and avoid common pitfalls? Join us on January 10th at 1pm (UK time). The event is FREE, but you need to register here because places are limited to 100 attendees only. Please note that these events fill up very quickly, so make sure you book your place now. I can’t wait to ‘see’ you at my webinar! This entry was posted in Events and tagged Academic Writing, PhD thesis writing, productivity, research paper draft on January 3, 2014 by Marialuisa Aliotta. It happens to most of us. As a new year begins we are full of good resolutions. We want to lose weight, quit smoking, do more exercise, eat a healthier diet, be more productive at work, strike a better life-work balance, you name it. No wonder we end up feeling overwhelmed and as soon as the “new” of the new year wears off we forget about all of our good intents. Luckily, there are a few good habits that can help us stay on track with whatever project we want to embark on. Here are my favourite ones. 1) Start small. Every thousand-mile journey starts with a single step. Be clear about your direction and then set things in motion, one step at a time. Do not expect to achieve everything at once. Rather find ways to enjoy the journey. 2) Take baby steps. Get in the practice of doing them regularly and consistently. If you plan to go on a diet, for example, take two little actions such as drinking more water and going for a 15-minute walk every day. Once these activities have become an established part of your routine, move on and introduce another baby step into your day. 3) Set a timer. Whatever your aim, setting a short amount of time and committing to work exclusively on the task on hand can truly do wonders. No email, no Facebook, no Twitter, no TV, no phone, no interruption, nothing. Just you and your task. The time you set can be as short as 15 minutes, but make sure you do it every day for as long as it takes for complete the task. There is no point at working at your project five hours flat out and then feel so burnt out that you do not want to work at your project at all the following day. Eventually, when this has become a habit in your routine, you can decide to increase (slightly) the amount of time you devote to your task. You can apply this technique whether you need to work at a project you find difficult to tackle, or to get into the habit of doing something healthier, like getting some exercise, meditating, having a break to re-charge your batteries, cook a healthy meal, get in touch with family and friends, or even revise for exams. 4) Find a buddy. I have never liked going to the gym. No matter how good my intentions at getting fit and losing weight, I just can’t make myself go through the hassle of going to the gym. Some years ago, however, I made a deal with a friend of mine. So we decided that if she was willing to come with me, then I was willing to commit to making the effort. I was at the gym at 8 o’clock in the morning every day for a few months! (in fact, being out of the house so early was already an achievement in itself for me!). Knowing that I was doing this with someone else was the key ingredient to keeping me motivated. The same can be done for studying, revising, or writing up. Just find a friend or a colleague to share the journey with. You’ll both get the benefits. 5) Do the most important things in the first two hours of your day. As simple as that. It took me a very long time to put this into practice. There is always the tendency of doing the easiest stuff first. In the past, I used to spend a lot of time on practicalities first thing in the morning: answering emails, filling in expense claims, sorting out my lecture notes, and so on. By the time I sat down to do some of the other (admittedly more important) stuff, it was almost time to pack and go home. Eventually, I learnt to set my priorities right and to leave the unimportant stuff for the last hour of the day. 6) Celebrate your success, big or small. Let’s face it, we are so busy trying to get more and more done that we often do not take the time to acknowledge what we have achieved already. This can leave us with a sense of exhaustion and the feeling that the bar has been raised once again. Acknowledging and celebrating our achievements gives us a sense of completion and motivates us to move forward with increased energy. 7) Finally, if putting into practice the advice I have shared with you still proves too difficult, you may want to consider finding a mentor. Research shows that students who do best are those who have teachers interested in them. I believe this is true of anyone. I have always performed far better in anything I was doing every time I knew someone else cared. Having a mentor can be an extremely useful resource to help you move forward. 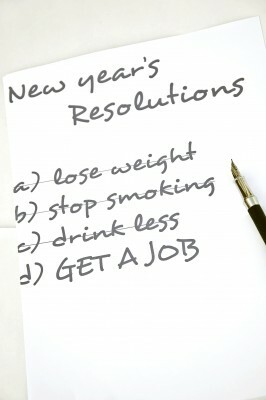 So, now, what were your new-year resolutions this year, and how many of them have you accomplished so far? Which techniques have worked best for you to help you achieve your intentions? Share them with us. We’d love to hear from you! This entry was posted in Work-Life Balance & Productivity and tagged accomplishments, good habits, productivity on May 27, 2012 by Marialuisa Aliotta.